Cruden Bay tour pro Kevin Duncan made all the running to win the Scottish Golfers Alliance Championship at Boat of Garten today. Duncan won the £1,000 first prize and the Scotsman Trophy for the lowest scratch aggregate of 213 (68-71-74) by one stroke from Phil McLean (Peterhead) who had rounds of 72, 72 and 70 for 214. 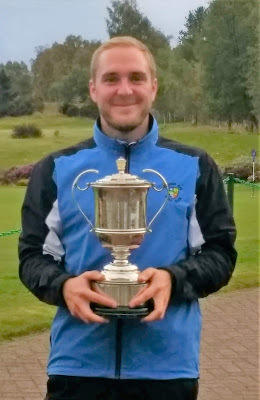 Completing a professional 1-2-3 was Fraser Mann (Carnoustie Golf Links with scores of 70 71 and 78 for 219. Boat of Garten club captain James Grant won the Clydesdale Bank Quaich for the lowest 54-hole scratch total by an amateur - 223. Gordon Hay, the host club secretary, won the trophy for the best senior total over two rounds with scores of 81 and 72 (better second round) for 153. Brian Nicolson (Newmachar) won the leading handicap amateur award with a net total of 218 off a handicap of two. North-east Alliance won the team trophy. Simon Lockhart (Bathgate) had a hole in one with a seven-iron at the 170yd 16th on his way to a round of 71. 213 K Duncan (Cruden Bay) p 68 71 74. 214 P McLean (Peterhead) p 72 72 70. 219 F Mann (Carnoustie Golf Links) p 70 71 78. 222 K Nicol (Dunes Golf Centre) p 72 75 75. 223 J A Grant (Boat of Garten) 72 76 75.